and all things bling! Modern printing techniques mean that anything is possible with wallpaper now, when it comes to glitter. So if you like a subtle lustre effect, to catch the light or if you want the full flamboyant sparkle, there is something for you. 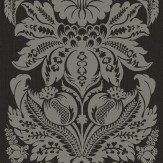 A heavily textured vinyl of a beautiful vertical leaf trail with a shadow effect, finished with delicate glitter and metallic highlights. 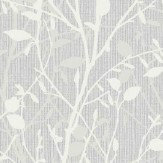 Shown here in the silver colour way. Other colours available. Please request a sample for true colour match. 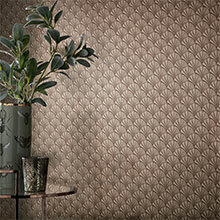 An all over wallpaper featuring a glitter damask on an embossed crocodile effect textured background. 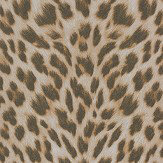 Shown here in taupe with a silver glitter and a teal metallic lustre background. Other colour ways are available. Please request a sample for a true colour match. 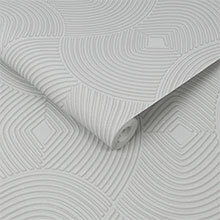 Non woven product - you can either paste the wall or paste the paper. 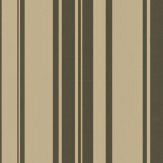 A striped design of various width stripes in gold foil and beige. Other colour ways available. Our apologies that the foil shows up as black and does not come across well in the picture, please request a sample for true colour match. Non woven product - you can either paste the wall or paste the paper. Free pattern match. 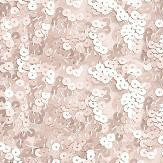 A lightly textured all over glitter design, with a fine vertical dotted line pattern. 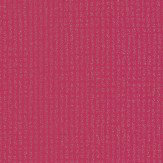 Available in a range of colours, shown here in hot pink. Please request sample for true colour match. Free pattern repeat. 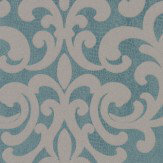 An elegant large scale damask. Shown here in grey on black with glitter detail. Other colour ways available. Please request a sample for true colour match. Paste the wall product. 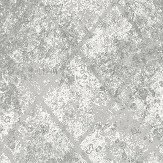 A scoured metal sheet texture. 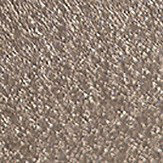 Shown here in a metallic copper colourway. Please request sample for true colour match. The pattern repeat is 53cm with a straight match. 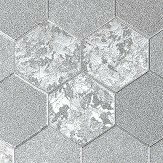 A honeycomb pattern effect created from randomly placed hexagonal tiles with either fine stipple or crushed velvet textures. 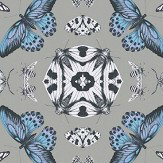 Shown here in a metallic silver colourway. Please request sample for true colour match. The pattern repeat is 53cm with a straight match. 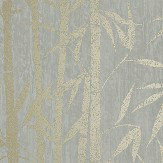 An all over wallpaper design featuring a trailing pattern of bamboo shoots with foil detailing. 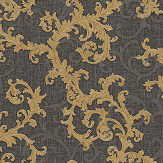 Shown here in the grey and gold colourway. Other colourways are available. Please request a sample for a true colour match. Pattern repeat is 53cm. 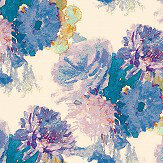 Bouquets of digitally enhanced flowers creating a pleasing diagonal pattern. Shown in the purple and blue mix on gilver foil. Please request sample for true colour match. 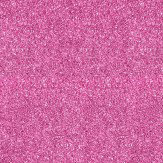 Bold glitter effects are not for the faint-hearted perhaps, but they add an amazing wow to your interior. Used sparingly they can create a stunning effect, when complemented with lighting and accessories. 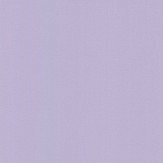 Be bold, banish the beige and express yourself! 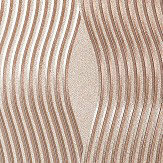 Foil effects wallpapers - true foils which reflect like a mirror, literally add another dimension to a room. Tricking the eye to see more space and throwing colour and light back into the room - trying adding a mirror on the facing wall for a truly amazing effect.